If you are in need of an experienced plumber in Mt. Dora Florida, contact our staff immediately. 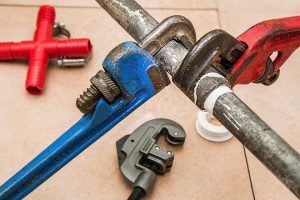 We have decades of experience in the plumbing industry and we can make the process of any type of plumbing repairs in Mt.Dora as easy as possible. Whether you are experiencing a leaky pipe, a clogged drain, a broken hot water heater or the need for complete re-piping services throughout a home or commercial property, our staff can be of assistance to you. At A1 service plumbing, we can provide a wide range of Mt.Dora plumbing repairs that we will stand behind with a comprehensive warranty. Through our years of support, we are proud to stand behind our work and to offer some of the best plumbing products available for improving the efficiency of your property. As 24-hour repair specialists, we are MT. Dora plumber’s that are available at any time for our customers. We want to make sure that we are on call whenever there is a serious issue with your pipes or plumbing. We can be on site and ready to work with a fully stocked service truck. By making sure that we are ready to work in any location, at any time, we can help you get back to your regular routine faster. We want to make sure that we can deliver the best level of support for our business clients to ensure minimum downtime. For Mt. Dora plumbing repairs, we can offer some of the best in support for businesses and residential clients across Mount Dora Florida and the surrounding area. Whether you need a new installation or emergency repairs, we want to offer the most reliable and some of the most affordable services in Orlando and all of Central Florida. Contact A1 Service Plumbing for more information on our current promotions or for a quote on your plumbing repairs today.